Two coats of JULEP Nail Color in Nellie. Berry Creme. JULEP describes Nellie as a pink fuchsia crème, but it feels 100% berry to me - and it's spectacular! Shades like this are ah-ma-zing for fall/winter, as they're a bit unconventional and unexpected, yet fit in with the whole sweater weather crackle in the air. Nellie may be one of my favorite Julep shades of all time. The color is rich, chewy, and yummy; and the formula is just spot on. No streaking, no bubbling, just brilliant high-shine and powerful pigmentation. You need this one in your life! Love this beautiful color! Great post! Love this colour. I have festive sparkles on my nails this week, which I love. 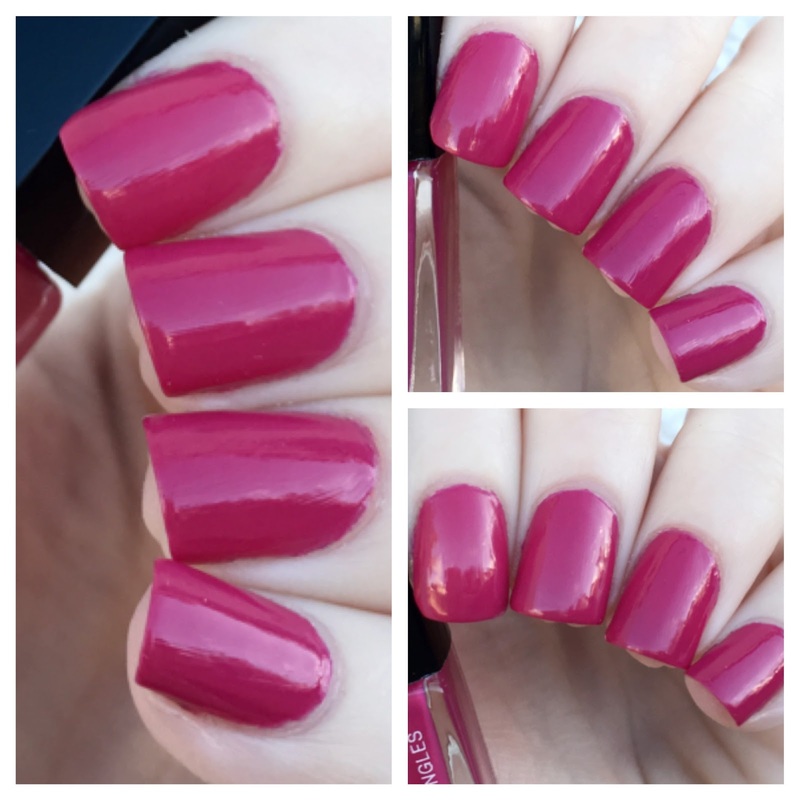 What a beautiful color for winter! Ooh nice! Thanks for sharing.